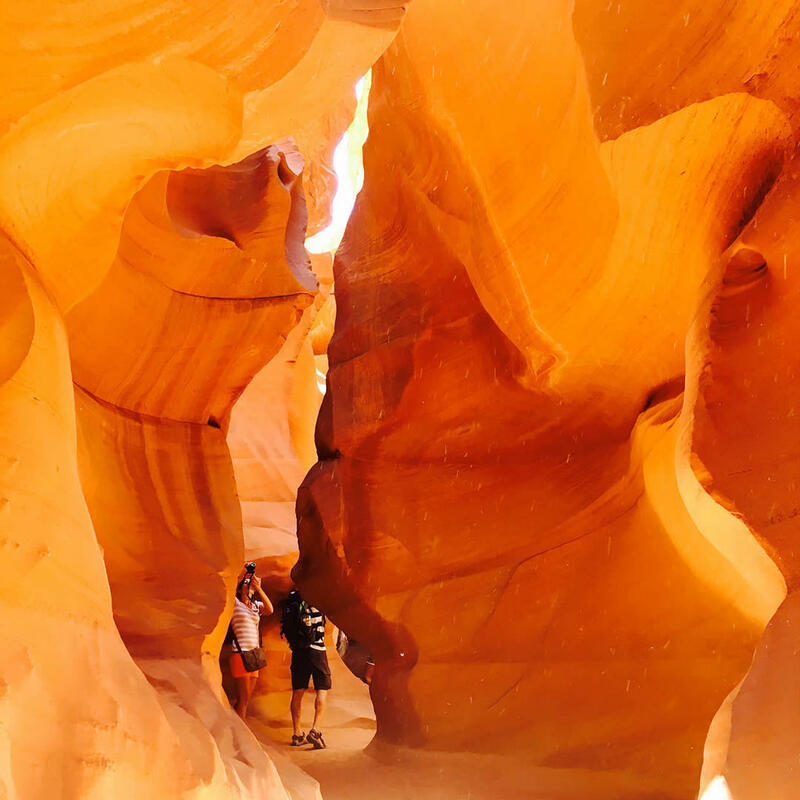 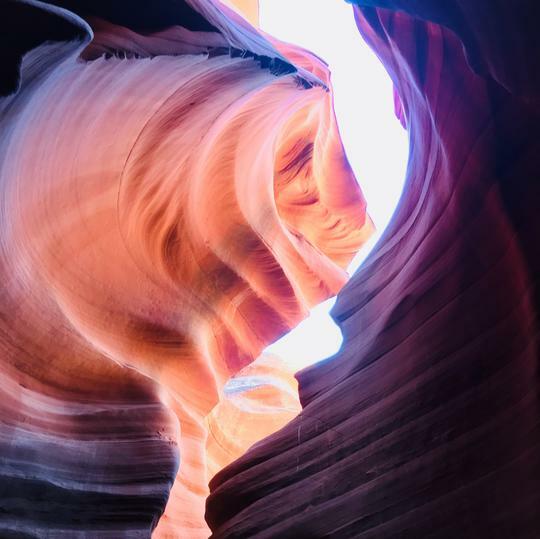 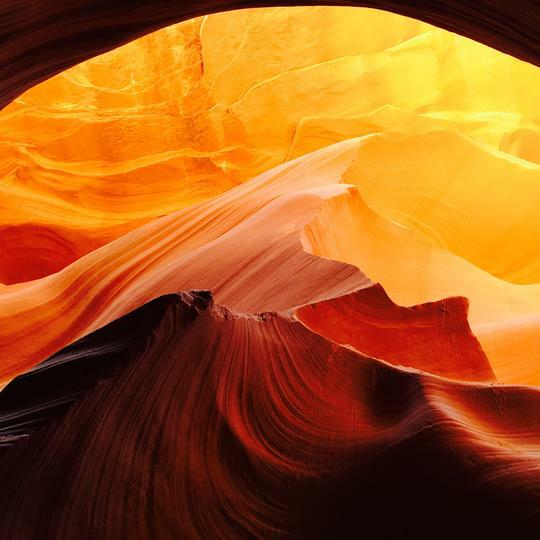 Characterized by golden hues formed within the slender layers of Navajo Sandstone, this narrow canyon was formed by flash floods, the pelting rain causing the irregular and billowing formations that characterize the inner canyon walls. 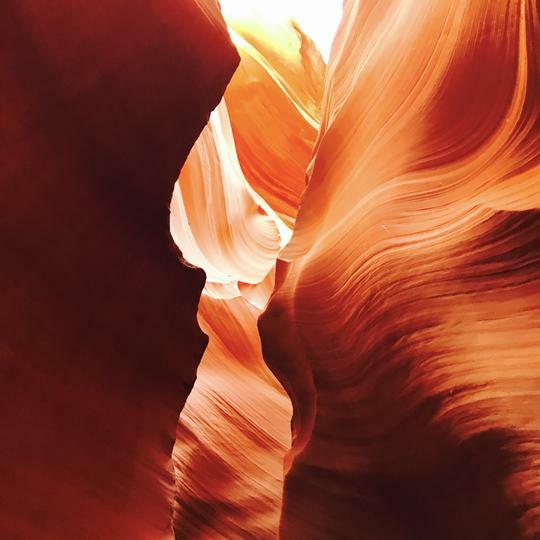 Many sections of the canyon bottleneck at the top creating beautiful light sensations when the sun filters through these small gaps. 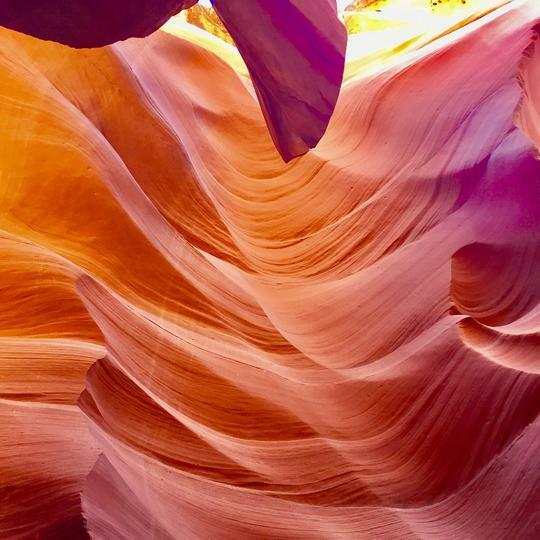 Be aware that flash flooding is still a problem - the canyon becomes a water receptacle with hikers often getting stranded on ledges to escape the rapidly rising waters (submitted by Julie Woo).